Poland, c. 1820. Beaker form. Engraved with swirling, organic and floral design. 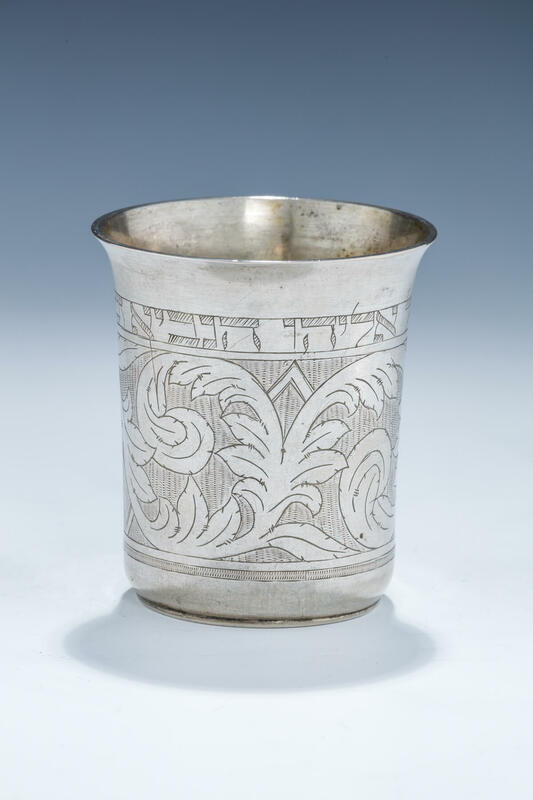 Upper rim engraved with elijah related inscription. 3.4″ tall.